The Graven Sign are a band from the United Kingdom that plays an atmospheric mixture of black and doom metal and this is a review of their 2015 ep "Transmission #001" which will be released on August 28th by Hibernacula Records. Emergency alert sounds start off the ep before adding in clean and acoustic guitar playing which also gives the music more of a progressive feeling and they also utilize both finger picking and full chords and after a minute the music goes into more of a depressive doom metal direction along with some melodic leads and leads. All of the musical instruments on the recording have a very powerful sound to them and when the music speeds up and brings in grim screams it brings in more of a raw black metal feeling without losing any melody and all 3 of the tracks a re long and epic and also bring in a great mixture of both clean and heavy parts and the music also sticks to mostly a slow or mid paced musical direction and adds in touches of post metal which also gives the songs more of a modern atmosphere. 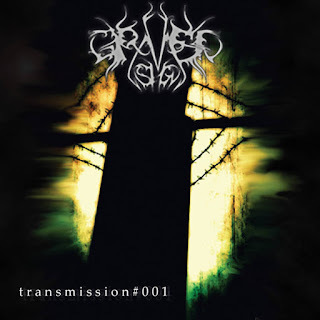 The Graven Sign plays a musical style that takes the atmospheric and post genres of black metal and mixes it with melodic doom metal to create some very original sounding music, the production sounds very powerful for being a self released recording while the lyrics cover nuclear themes. In my opinion The Graven Sign are a very great sounding atmospheric mixture of black and doom metal and if you are a fan of those musical genres, you should check out this band. RECOMMENDED TRACK "Source". 8 out of 10.